The Diocese of Winchester has today announced that the Reverend Canon Richard Brand has been appointed as the new Archdeacon of Winchester. Richard will be supporting the churches in Winchester, Basingstoke, Andover and the rural villages across north Hampshire. Richard has been a priest for over 25 years, and brings to Winchester significant experience of helping churches to work together to serve their local communities. Having spent time in King’s Lynn and Croydon, Richard moved to Christchurch, New Zealand, where he was inspired by some of the pioneering work which the Anglican Church was undertaking in the country. The innovative approach to living out the Christian mission which he encountered whilst working as a team vicar in New Zealand continues to inspire Richard’s ministry. On his return to the UK he was parish priest of Hambledon in the neighbouring Diocese of Portsmouth, serving as Diocesan Director of Ordinands, where he supported candidates through the process of discernment and training for ordained ministry. For the last nine years he has been Team Rector, in Market Harborough in the Diocese of Leicester, chaired the Trustees of Launde Abbey, and is currently Area Dean of the Gartree Deaneries. In this role he has offered mission support to the parishes throughout the deanery. This involves helping them to identify practical ways in which they can put their mission priorities into practice. Richard is married to Sarah and they have three children, all of whom were born in Winchester. He succeeds the Venerable Canon Michael Harley who retires next month, having served in the role for the last six years. 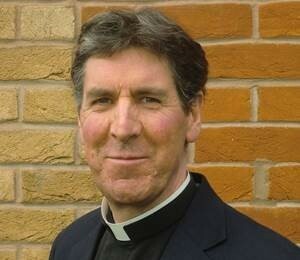 “I am delighted that Richard will be joining us at this important time in the life of the Diocese. His extensive experience in parish ministry is the perfect foundation for the work he will be undertaking. As each parish puts into action its mission plans, his expertise and previous experience will be crucial. “I am delighted to be joining the Diocese of Winchester at this very exciting time. Winchester has a special place in my heart as the place where my children were born. I look forward to working with the many diverse and unique communities both urban and rural, across north Hampshire, helping them to find practical ways to implement their mission plans and reach out to the wider community.